Introducing the SafeGuard FlexPlus. No other seat manufacturer makes anything like it. Not even close. Introducing the SafeGuard FlexPlus seat, engineered with exclusive safety features like SmartFrame Plus and the TattleTale indicator. No other seat manufacturer makes anything like it. Not even close. Easy to install, upgrade, and maintain, the SafeGuard FlexPlus is the only seat with SmartFrame Plus technology. SmartFrame Plus enhances compartmentalization, offering protection for both belted and unbelted passengers in a crash. And it’s now easier than ever to know when you should replace a seat after a crash with our TattleTale Indicator. 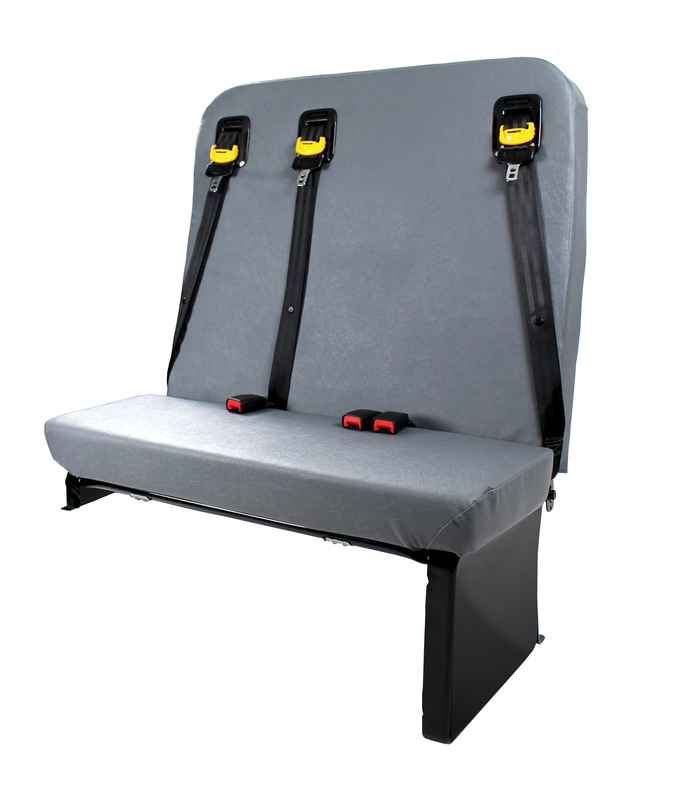 Continually compliance tested to ensure our seat meets and exceeds safety standards, the SafeGuard FlexPlus is regulation proof and built to last the life of the bus. When you want best in class in performance, quality, testing, and durability, you want the SafeGuard FlexPlus. See the SafeGuard FlexPlus seat in action during this segment from Good Morning America.